Our comprehensive guide makes it possible to grow healthy, productive plants indoors year round. Dig in! When the winter blahs set in and you’re dreaming of fresh greens from your summer garden, consider growing indoors. Not only do plants cleanse your household air (read about Greens That Clean) and improve the aesthetics of any indoor space, they can provide your family with a wealth of yummy, organic foods. City dwellers, or those without a good gardening spot in the yard, may find growing indoors especially useful. Plants don’t need to take up much space — a windowsill is fine if that’s all you have. For others, the indoor garden may become starter plants for an outdoor garden come spring. Now you can enjoy growing indoors all year long! At Planet Natural, we’ve carefully selected only the best indoor gardening supplies — from lighting to hydroponics — to make your indoor growing experiences blossom. Got bugs? 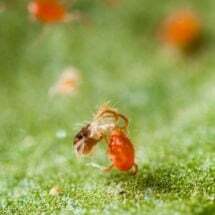 Check out our Pest Problem Solver for pictures, descriptions and a complete list of earth-friendly remedies. An indoor garden can take up as much or as little space as you are willing to give it. Growing plants of all kinds, even tomato gardening can be done on a windowsill or on a table. Larger growers, or the more dedicated may want to set up a table or bench specifically for the garden. Find an area with a tile or linoleum floor to catch the inevitable drops of water, or place a tarp under your table. Shelves provide lots of planting room while taking up little space. If using shelves, make sure that adequate light reaches every plant. This may require a separate grow light for each shelf. Plants need light to photosynthesize and need to photosynthesize to survive. Without adequate light a plant will grow tall and spindly. If there is enough energy to grow leaves, they still may not totally expand. And without enough light, don’t plan on seeing flowers or fruit. Even plants grown near a window will probably not get enough light during the winter months to thrive. There are a few things to think about when purchasing a grow light. Plants have photoreceptors that absorb specific wavelengths of light. Your light needs to have the same wavelengths as the sun, which is why a regular light bulb doesn’t work. The light should be as close to the plant as possible without burning the leaves. Most vegetables and other plants do best with 14-16 hours of sunlight or simulated light. There are a few ways you can tell if your plant is getting enough light or not. If it isn’t getting enough light, it usually will have small leaves, thin stems, and the color of the plant will be lighter than usual. A hormone called “florigen” controls budding and flowering. Long day plants require about 14 to 18 hours of light to produce just the right amount of florigen to flower and reproduce. Short day plants require about 10-13 hours of light. If short day plants are exposed to too much light, florigen can be destroyed, preventing blooming. 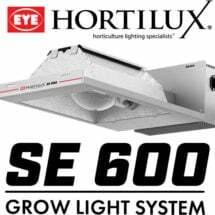 There are a lot of different grow lights for sale out there and it can be confusing to figure out which type is best for your indoor garden. The following run-down should bring some clarity. Incandescent Lamps are inexpensive and can be bought at a hardware store or nursery. While they work OK for growing houseplants, they are not ideal for an indoor garden. Fluorescent Lights work best for growing herbs and other plants that don’t require a lot of light. 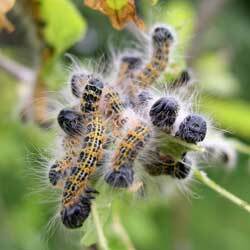 They are not good for plants that are budding or flowering because they don’t put off enough light. 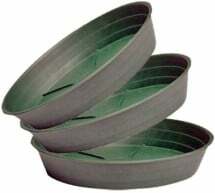 Inexpensive, they can be purchased at the local hardware or garden supply store. 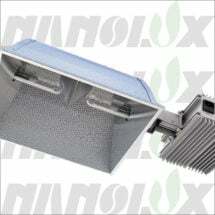 The new Compact Fluorescent Systems, however, are quite bright and efficient and in some cases might even be better than the fancier high intensity discharge (HID) lights. Compact fluorescents are smaller and more efficient than older forms of fluorescent lighting so they can be used for all plants. 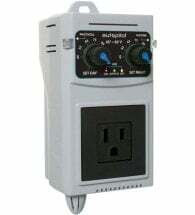 They also produce less heat than incandescent and HID lights and consequently can be placed much closer to the plant. High Intensity Discharge (HID) Bulbs are the brightest and most efficient lights available, but they can be expensive. One 1,000 watt grow light bulb can produce the same amount of light as 50 40-watt fluorescent lights. 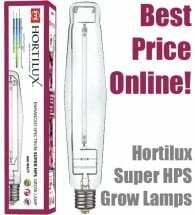 The High Pressure Sodium and Metal Halide bulbs are the only ones indoor gardeners will need. High Pressure Sodium (HPS) Bulbs produce a red-orange light that benefits flowering. With an average lifespan 2X that of metal halides, high pressure sodium lamps are economical. This isn’t a great light if you are only going to use one, as it doesn’t produce light in the blue spectrum needed for leafy growth. Metal Halide (MH) Bulbs produce a blue-white color that is conducive to encouraging leafy growth and keeps plants compact. A bulb will last about 10,000 hours and produce up to 125 lumens per watt compared to 39 lumens per watt for standard fluorescent lights and 18 lumens per watt for standard incandescent bulbs. This is a good light to start plants out with. When it comes time to flower, switch to a High Pressure Sodium bulb. There is more to a grow light than just the bulb. You can purchase the reflector, cord, ballast, bulb and other parts separately, or buy a whole system that just needs to be plugged in. 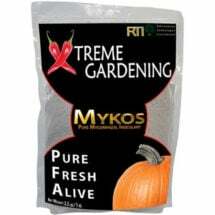 Temperatures of 65-75°F are best for most plants. A variance of 10°F either way will probably be OK. Plants that are too hot will be small and weak. Plants grown at too-cold temperatures may have yellow leaves that fall off. Automates heating and cooling equipment with both day and night set-points. A lack of humidity in the house can be a challenge for indoor gardeners. Winter tends to be drier than summer, and if you run the heat in your house the problem is further compounded. You’ve researched how much humidity your particular plant needs and it isn’t getting it. Place a tray of water near your garden (don’t put plants in the tray, this can lead to other problems). Fill the tray with lava rocks to increase surface area for evaporation. Place plants close together to create a microenvironment with a higher relative humidity. Run a humidifier (this might benefit your skin as well!). Purchase an environmental controller, which can humidify or dehumidify depending on your needs. Indoor gardens benefit from a good planting medium — soil found outside is not appropriate, since it’s often too heavy and may contain weed seeds and insect pests. Instead look for a mix that is specific to indoor plants. A good growing media should remain loose and drain well, yet contain enough organic matter to hold nutrients and moisture. Most commercial organic mixes will work well, or you can create your own (see Potting Mixes for Certified Organic Production). 100% Natural & Organic. 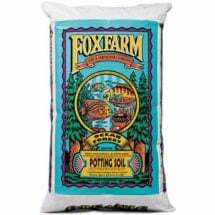 FoxFarm® Ocean Forest Soil is ready to use right out of the bag and provides the ideal environment for young seedlings to become thriving plants. 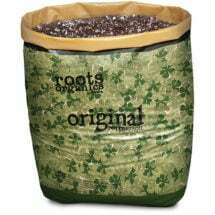 Lightweight and well-aerated, it’s the perfect all-natural mix for container grown plants! Instead of growing indoor plants in a soil mixture, you may want to try out hydroponics. Basically, this means gardening without soil. Soil holds nutrients and anchors plants roots. 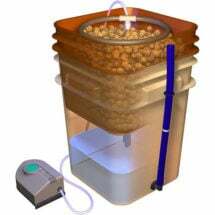 When growing hydroponically you provide the nutrients directly. Instead of being bound up in soil, the nutrients are readily available to the plants. Faster plant growth (up to 50% faster) since plants can easily access water and food. Roots grow throughout the media without becoming root bound, so containers can be smaller. Plants start in a disease-free medium and are less likely to become infected. If plants do become sick, the disease is usually in one plant, not all of them. Plants droop before they wilt, so you’ll know to water them before they are damaged. Check out the Hydroponics Glossary at www.hydrofarm.com. Hydrofarm is the nation’s oldest and largest manufacturer of hydroponics equipment and grow lights. We offer many of their products here at Planet Natural. Don’t stop there, as mentioned above, almost anything — fruits, flowers, herbs and vegetables — can be grown in a container. 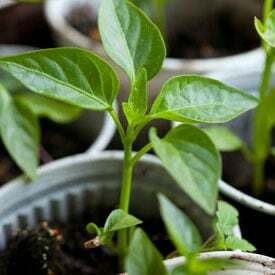 Plants can be grown from seed (started inside and staying inside) or they can be transplanted from your outdoor garden at the end of the season. Plants will need to be acclimated before bringing them in the house and again when you put them outside in the spring or fall. Just say NO to plastic planters! 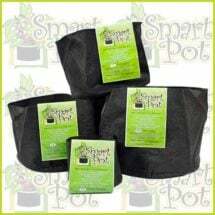 Patented Smart Pots are fabric containers that prevent roots from circling and release heat so they’re much cooler — plants develop a better root structure. Better roots = better plants! Plants and seedling grown inside need a period of “hardening off” before they can permanently live outdoors. The hardening off process gives them time to develop a thicker cuticle and avoid water loss while being better able to withstand the harshness of weather. The following steps will help acclimate indoor plants to life in the great outdoors. 7-10 days before you want to transplant your plants, place them outside in a shady spot or cold frame for 3-4 hours. Each day, increase the time spent outdoors by 1-2 hours. Bring plants back in each night. After 2-3 days, place plants in morning sun, then move them into the shade in the afternoon. If the temperature stays around 50°F, plants should be able to stay out all day and night after 7 days. In about 7-10 days transplant your seedlings or plants. If possible, transplant on a cloudy day and water thoroughly. To acclimate plants by withholding water or by using a cold frame, read How to Harden Off Plants. At the end of the growing season you may want to move plants inside to your indoor garden. After potting these plants (if they are not already in containers) they will need a period of acclimation, just as plants going the other direction do. Now that your garden is planted and growing, it’s time for the watering, staking, pruning and overall general care to begin. Ahhh! The fun stuff. Need help? Our expert guides will ensure that your favorite crop is a huge success. Plants grown in containers dry out more quickly than their soil-grown counterparts and require frequent watering (see Watering Potted Plants). Always use room-temperature water and add enough water that it runs through the drain holes of your pot or container (do not let water collect in a saucer or under the plant — this can lead to rot or disease). Use your finger to feel the soil or use a moisture meter to be sure you are not over or under watering plants. Do you have a hard time remembering to water the plants? 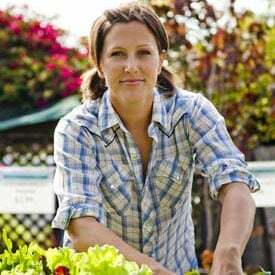 Read How To Make a Self Watering Garden or How to Make a Self-Watering Seed Starter in Ten Minutes to learn how to start a garden that waters itself. It’s organic! Liquid Budswel is derived from a special blend of bat and seabird guanos, earthworm castings and seaweed extract. Use as needed for superior crops and huge yields. Will NOT burn plants. 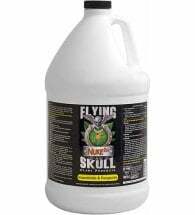 Plants grown indoors will need an extra boost of nutrients or fertilizer since most of the nutrients in the soil or growing medium are quickly taken up by the plants or leached out during watering. 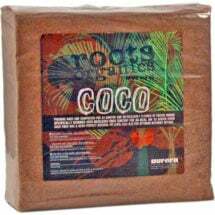 Organic fertilizers and hydroponic nutrients for indoor plants abound. 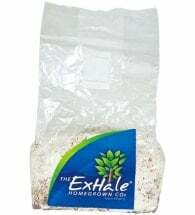 Follow the instructions on the package for how much to use and how often to fertilize. 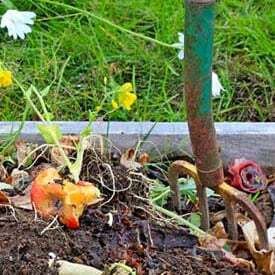 Fill a bucket about 1/3 full with finished compost. Add water until the bucket is full. Let the bucket sit for a few hours, if not three or four days (don’t let it freeze!). Add water to the liquid until it is the color of weak tea. 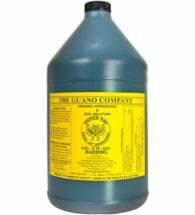 Apply the compost tea to the soil around your plants. Growing Indoor Plants with Success (PDF) – To be a successful indoor gardener, you need to understand how the interior environment affects plant growth and how cultivation differs from growing plants outdoors (University of Georgia Cooperative Extension). You didn’t include LED lights in your section on lighting. LED grow lights are now available in full spectrum or in red, blue or white so you can have different lighting for plants that are in different stages (seedlings, budding, blooming, fruiting, etc). They give off little to no heat so can be placed closer to the plants & use less electricity than other lights. Plus they don’t contain mercury so are safer & better for the environment than fluorescents. They may be a little more expensive than fluorescents, but they last up to 50 years so they pay for themselves in electricity savings & in longevity. If you want an led that actually puts off enough lumens, they will actually put off a lot of heat. Leds that are strong enough to benefit photo syn. Require heat sinks on the diodes because of the amount of heat generated. Cooler leds do not provide enough lumens to benefit the plant as much as a simple cfl and the cfl is way cheaper. Wait until leds progress a few more years. Most of the leds on the market now are a waste of money and pure hype. I’ve recently heard there was a report on LEDS that says they are damaging to the human eye. So I at least would wait to spend money on them for growing lights. When I’ve completed your post, I first thing came into my mind was LEDs. I agree that LEDs are a bit expensive. But I disagree with your point regarding heat. I’m using LEDs for my herb garden and they’re doing pretty well i must say. I’m using Advanced Platinum Series P300 for my 3′ X 4′ of grow space and quality of light is just fabulous. One of my friend is using Viparspectra PAR600 and he’s experiencing good quality. If you can stretch your budget upto 150$ then you can get a life long companion and better results. That’s my experience. How will the tomatoes be pollinated? I used this for a research report. Do Vegetables Taste Better Grown Outside or Inside in a Grow Tent? I live in an apartment and I am trying to figure out whether it is better to grow my plants in a grow tent with an HID light or outside on my balcony. I want to make sure that growing inside of a grow tent with a sun lamp and potting soil mixture does not change the flavor of my vegetables. My balconies are very shady and I’m trying to get the best quality and taste from my crops. Are strawberries, blueberries and lemons self pollinators as well? Most blueberry varieties require another plant to cross-pollinate. Strawberries and lemons are self-fertile but it’s a good idea to hand-pollinate using a q-tip. I am currently growing my garden inside, I have planted green beans, beets, mustard greens, bell peppers, 3 types of tomatoes, zucchini, tigger melons, watermelons, squash, 13 types of herbs, a apple tree, lemon tree and a orange tree, as well as raspberries and 10 different strawberries. I am so excited each morning to go in and see the growth of all the different fruits and veggies. The trees are dwarfs so they will be beautiful and fragrant by the patio door. My grand kids all have their own pots and are also growing their own veggies. Nothing like an indoor garden year round. Lori, that’s awesome! I am looking to do the same thing since I have the space in my home and our winters here in PA are long. Do you mind sharing what method you use? hydroponics, soil? For the record: a tomato is not a vegetable, it is a berry that is classified as a member of the fruit family of edible plants. Great information, I will start planting this week with your advise thanks. Question, growing in volcano ash, is this tougher and if so how will veggies taste? I started growing tomatoes peppers and zinnias about a week ago and with my flourecent grow light 5 zinnias already have broke through the soil! It’s so exciting to see their growth! Great to see so many people embracing indoor gardening! We have self watering pots to make it even easier. 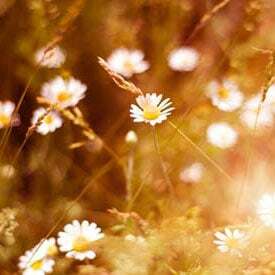 I know from personal experience that herbs need a bit of attention (At least, here in Australia where it’s warmer) and even a day or two of neglect can push back your growing progress. I am moving to bush Alaska to teach an want to grow vegetables in my apartment. Can someone guide me to quality information on what I would need and how I would do it? Thank you! Indoor gardening can be a bit more complex than outside gardening but you can watch them grow to big, beautiful plants with great lighting, feeding and watering. I want to add garden plants to my biology classroom. Any thoughts. Also, if you were to plant tomatoes, for example, would they continue to produce all year, or do they need to be replaced after a harvest? I am beyond excited that I found this website. I teach a combined grade 3-4 class in Alberta, Canada, and really want to grow a ‘salsa garden’ in my classroom. Grade 4 Science is Waste in Our World & Plant Growth and Changes. If we can manage it we will grow tomatoes, onion, garlic, peppers, and cilantro. I plan to turn an old fish aquarium into a green house and purchase a grow light. All of the information is a God send! Does anyone know how long it may take for each of these to grow? I would like for them to be ready all around the same time and assume I’ll have to stagger their planting depending on their grow time. Could you please suggest some pre-made indoor gardening systems? In central coastal California i am starting indoor cherry tomatoes at a 10 ft high 8 foot wide set of 3 windows facing west. Is this enough light and warmth? I have been indoor gardening for quite a few years now. I use compact fluorescent to supplement a SW corner window area in the home. I just use bins full of soil as a medium. 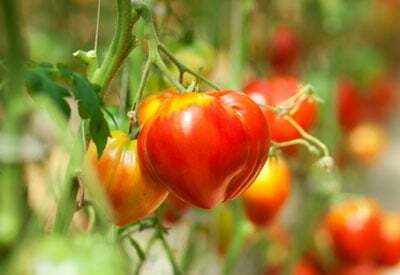 Websites often show pictures of these giant plants with Beefsteak tomatoes hanging off of them etc. Now, this is possible, but keep in mind you totally need perfect conditions, lighting etc to make this possible. I have whittled my indoor garden down to just a few tried and true “sure things” that will definitely provide some fresh produce throughout the winter on a budget (minimal lighting expense etc). Lettuce of any variety thrives indoors. Once mature I have enough with one 24″ row to provide 2 nice sized salads per week. Radishes do great inside, but don’t always expect big plump ones. Carrots do okay indoors but like with radishes, don’t expect enough to supply your juicing habit. Cilantro! Why get that “mystery cilantro” from the grocery store that you bring home only to find it half rotten and flavorless. Kale does amazing indoors and you can have baby kale in your salad all winter. These are just some of my successes. There are many failures like tomatoes, beans, peppers, etc. Yes, it is possible to grow these, but you really need the lighting and warmth, etc. So, don’t get your hopes up too high for indoor gardening. But don’t be discouraged either. I highly recommend planting some of the tried and true “sure things” mentioned above while experimenting with other crops. It is so gratifying to shun the nasty grocery store product in the winter and have your own. It’s relatively inexpensive, loads of fun and adds “life” to the home in the winter. Thanks for all of the great info! Hello. Everyone talks about indoor gardening with veggies but what about just plain old beautiful house plants? My house sadly is dark. Which is why all my plants die. I thought my window was enough but it isn’t. I have the usual ivy plants (the green ones that usually trail), snake plant, and several others that don’t flower but are very green. I’m going to build a table about 2-3 ft high and about 3ft. long. I’m going to pick out a nice spot sort of near a window in my living room. 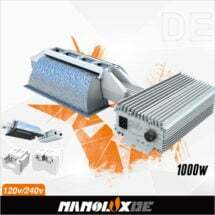 My problem is finding the right light or lamp since it’s in my living room, the LED is too blinding, the fluorescent work shop type is too tacky to be in my living area. Are there a floor lamps or lamps that are pretty to look at? And what is the best bulb? Do I need red and blue or can I get away with just a white grow bulb? I am considering growing flowers inside. I love to garden. I live in Boston where winters are long, especially after the holidays. I have read a little about indoor gardening. Your site has great information. However, I still am confused. From my understanding you need HID Grow lights, ability to control temperature and humidity, soil, nutrients, pots, etc. I have looked at the cost of the lights and tents and they are not cheap. Can you make your own “tent?” I am knowledgeable on HVAC systems, owned a HVAC business. The picture above with the light, hood, and flex resembles a HVAC furnace, supply and return lines. Also, read about fans to blow the heat out of the tent. Could you suggest the best economical way for starting plants inside to be planted in my garden. I have a basement but it’s cold and water comes in if it rains a lot. The floor has ledge in some areas, no insulation and the foundation is old (rock and concrete). I have a shed that is fairly large but I would have to run electrical cords. I read the tents are waterproof with floors. I don’t get a lot of water in my basement. It just gets a little wet in some areas. Is there a DIY type of system? Any advice would be greatly appreciated. I am also concerned about fire. Is there a risk of fire? I’m looking for a beginners set-up that is small. Thank you for sharing your knowledge of indoor gardening. I have done a lot of indoor gardening this year planting under grow lights and in window sills. Pepper, chills, tomatoes, strawberries, peas, cucumbers, melons, basil, lettuce and pumpkins do well. I can’t wait until the growing season so I can grow outdoors too. It is a great idea to do indoor gardening with LED grow lights.